Join us for a Forum in Mexico City on Tuesday, October 9th where speakers from the public and prviate sector and from non-governmental organizations (NGOs) will discuss the regulatory landscape and operational challenges associated with prior consulation and consent in Mexico. Mexico’s energy reforms may have opened important opportunities for global energy companies. But mastering engineering, operational and other technical risks will not be enough to support successful projects. Perhaps now more than ever before, knowledge and management of community related risks will matter. For the first time in the country, laws associated with the energy reform recognized the right of indigenous communities to be consulted when affected by energy projects. However, implementing the consultas remains problematic. 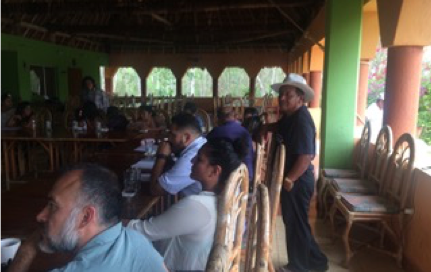 Since the laws came into effect in 2014, SENER has initiated 14 projects seeking consulta previas (13 of these affecting indigenous communities). Only eight have secured consent, one was rejected, while the other five remain highly contested. Among other challenges, there seems to be confusion during implementation, as the law does not provide much guidance to the different stakeholders about their role in the consultation process. Adding to this challenge is the lack of experience of all the stakeholders involved, from regulators to companies, civil society organizations and, most importantly, communities that could be affected by energy projects. On Tuesday, October 9th, Equitable Origin will co-host a Forum on Community Engagement in Mexico City in collaboration with the Institute of the Americas and ANUIES. The overarching message of this event is one of collaboration and engagement; all parties (regulators, industry, NGOs and community representatives) working together to find a way forward for sustainable energy development in Mexico.